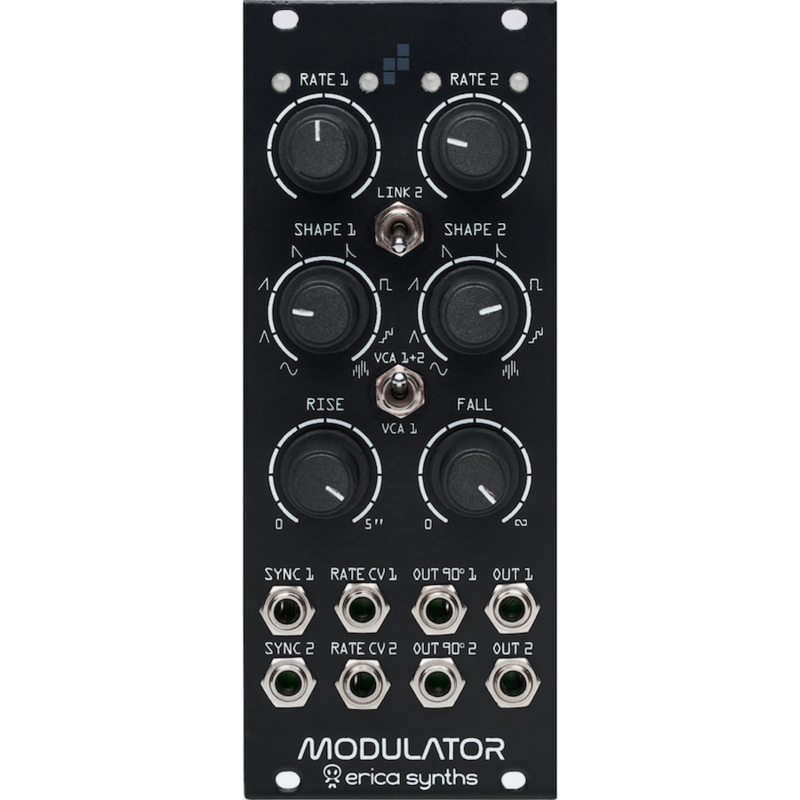 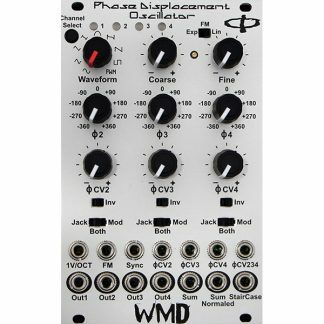 Erica Synths Modulator is an advanced modulation and pitched noise source with focus on rhythmic (but not limited to) compositions in mind. 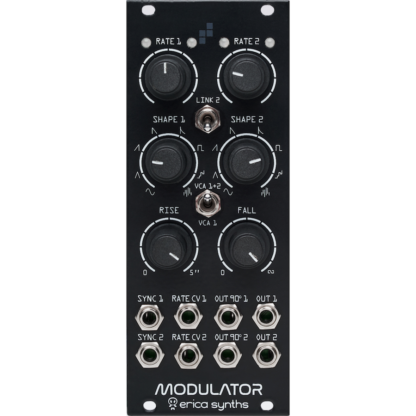 It features two identical tempo-synced LFOs/noise sources with selectable morphing waveshapes. 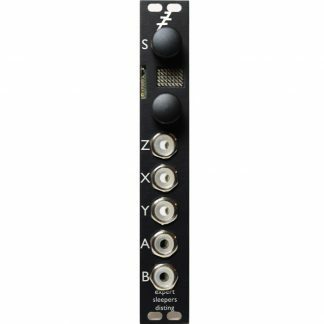 LFO frequency can be manually adjustable, as well as they provide frequency divisions and multiplication in Sync mode. Each LFO has two outputs – a main one and a secondary one with adjustable phase, so you can create evolving modulations. 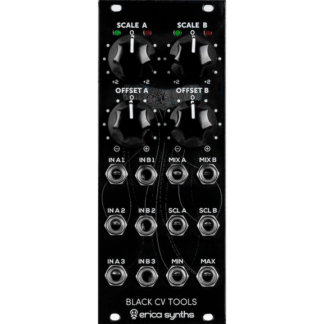 Furthermore, LFOs can be linked to work at the same frequency and the first LFO has a built in VCA to control output signal amplitude.